Getting your emails opened these days is tough. Typically, a person receives over 100 emails per day. Plus, we live in a crazy-busy world and attention spans are getting shorter and shorter. People are choosy and overprotective of their time. They’ll skip anything they feel won’t add value to their lives including what they deem irrelevant mail. 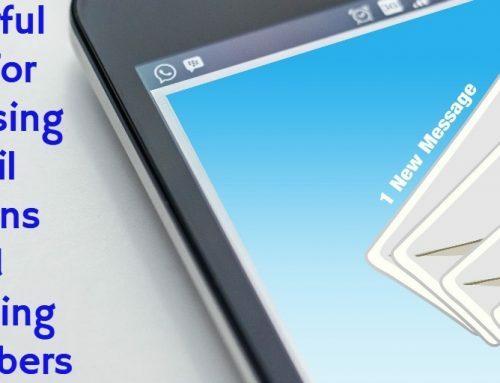 To increase the chances of getting your emails opened and read you’ve got to fully stretch every component of a campaign. By optimizing your preheader text among other things. In this post we’ll dive into techniques you can use to write seductive preheader text that compels people to open your emails. And, there’ll be plenty examples along the way so you see how it’s done. Preheader text is a snippet of text that follows the subject line when an email is viewed in the inbox. Its purpose is to introduce the recipient to the content of the message. 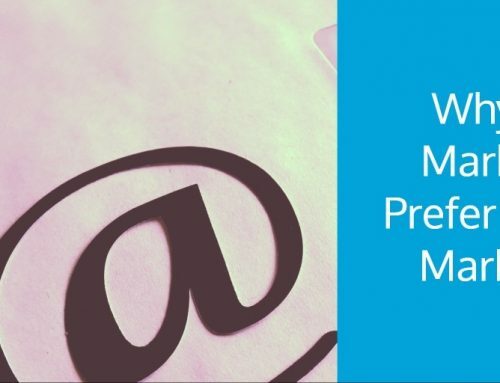 The preheader is a crucial part an email. It’s the online equivalent of the Johnson Box used in direct mail pieces. Its sole purpose — to attract readers’ attention to key points of a message. 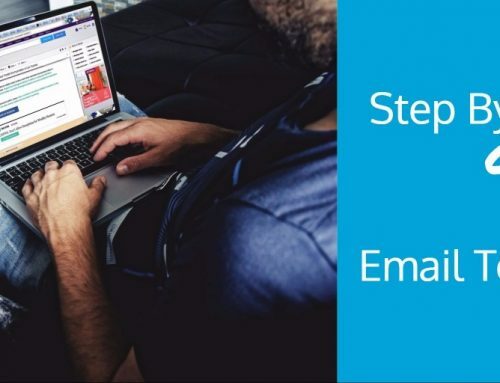 A good preheader supports your subject line and enhances the chances of getting emails opened. Do you need a preheader in the first place? Why should you bother writing one for your next email marketing campaign? I’ll give you four reasons. According to Statista, as of March 2018, spam messages accounted for 48.16% of e-mail traffic worldwide. That’s about 14.5 billion spam emails sent every single day. No wonder people are quick to click the ‘mark as spam’ button if a message looks suspicious. A good preheader will help you sidestep the dreaded spam folder and increase deliverability. 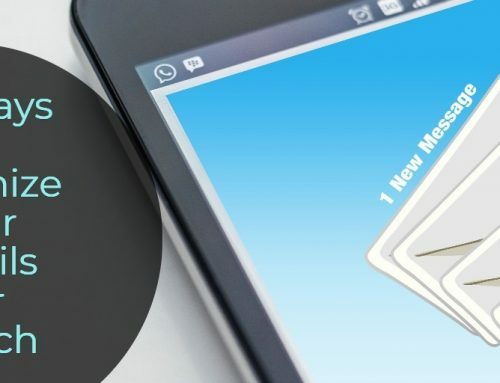 A clear summary or overview of your email shows readers the relevance of your message. As a result they’re less likely to label your mailing as spar and bar you from their inboxes forever. Before someone can open an email they ask themselves 3 key questions all of which are answered in the preview pane. According to Invesp 47% of email recipients open email based on the subject line alone. Those who linger look at the third element in the reading pathway — the preheader. It offers you a second bite of the subject line cherry. Through it you can convince those who still hesitant to open your email to do so. In that sense the preheader is like a sub subject line. No doubt, we live in a mobile-first world. Preheaders help email recipients better determine the topic of an email. Since people spend only a few seconds deciding whether to read an email, the preheader text can increase open rates. Including email preheaders has been shown to significantly improve opens. This alone is enough to make you take them seriously. Marketing Experiments did a test to determine if including a preheader made a difference to email opens. They sent two emails with the same subject but one major difference— one had a preheader while the other was plain. Here are the results. The email with a custom preheader saw an eye-popping 104% increase in clicks compared to the one without. Another study produced impressive results as well. Jeanne Jennings of Email Optimization Shop did a split test on two variations of preheaders. Subject Line (both): Time is Running Out on our Best Selling Custom Items! Control Preheader: Time is Running Out On Our Custom Items! Test Preheader: Great Personalized Gifts for Veterans! While there was only a negligible 2% difference in the open rate, the test version generated nearly twice as much revenue-per-email (RPE) than the control — the lift was a whopping 95.6%. Double the money in the bank! Preheaders produce results. But you have to understand how they work first. How long should an effective preheader be? Determining the optimal length of a good preheader is tricky. Different email clients display varying number of characters. Litmus published a useful guide that shows how many characters common clients display. Treat your preheader like a mini tweet. Lead with the most important part of your message. Better still, dig into your analytics and find out the email clients used by most people in your audience and adjust your length accordingly. Remember also that the preheader length is connected to the length of your subject line. The shorter your subject line the longer your preheader becomes and vice versa. So play around with both until you get the balance right. Sadly, some designs don’t support visible preheaders. And, the character limit can be a bit annoying. A hack you can use to overcome both challenges is using the hidden HTML preheader text. You can put the invisible text into your emails but it won't surface in the body. However, it'll still be seen in the message preview. To do that you need to do a bit of coding. Here’s a useful guide to help you create hidden preheader text. Brands often make blunders with their preheaders. Here are the top three. If you don’t include a preheader one of three things happen. First, your email client may pull your message’s first few words and show them. Second, the default text along the lines “this email was sent in HTML only, to view it please…” will be displayed. Third, if your content starts with an image, the alt-text of that image will appear instead. What a waste of prime real estate that can boost your open rates. You can always send a copy of your message to yourself and view it via your mobile in the inbox view, or in any other client that displays it to see how exactly your preheader displays. Duplicating your preheader isn’t wise. To begin with it shows a lack of creativity. Also, your readers may end up thinking you are a spammer. I’m sure you don’t want that to happen. Find ways to restate your subject using different wording. Yes, subscribers need to be given the opportunity to unsubscribe anytime but the preheader’s not the place for it. At least give your readers a chance to open your email and hear you out first before giving them the chance to opt out. Now that the banana skins are out of the way let’s get into the meat and potatoes. How exactly do you craft an irresistible preheader? What are the best practices to follow? Coming up with a winning preheader isn’t tough. Here’s how to do it. Questions are a great way to piques reader interest. When you ask a question you instantly engage readers. Zettasphere reported that a question subject line ‘are we still welcome in your inbox?’ outperformed a statement subject line by 143%. You can extend the power of questions to your preheader text as well. Danny Iny, founder and CEO of Miraseee, baits his audience with a question. Certainly curiosity would get the better of his readers. They’ll start wondering what Danny’s pet peeve is and open the email to find out. Giving readers a sneak peak of the handsomest benefit they’ll get can compel them to click on your email. People are always asking the question: what’s in it for me? As long as there’s something that’ll add value to their lives, they’re bound to act. One Kings Lane lead with the steep discounts they’re offering. Few people would pass up such a deal. The majority would check it out at the very least. Another way of driving more opens is taking advantage of Fear Of Missing Out popularly known as FOMO. FOMO is a powerful psychological trigger. It’s ingrained in human nature not to miss out on the treats others may be enjoying. It compels you to take action now rather than later so as to join in on the act. Sam Ovens, a business consultant urges his readers to join his webinar before it goes away forever. By so doing more people are likely to open the email and jump in before time runs out. Ticketmaster used FOMO to encourage last minute ticket purchases and saw a 7,46% uplift in conversion rates. Emojis are the rage right now…for a good reason. Emojis add color and visual interest thus making your email stand out from the pack. Experian conducted a research on the use of emojis in the subject line of an email. According to the study, the open rate of emails with emojis in the subject line was 56% higher compared to the plain subject lines. Like the subject line, preheader text can be livened up with a simple emoji. Home goods company Mayfair certainly grabbed their subscribers’ attention through the clapping hands emoji. Emojis are a quick and fun way of emotionally engaging your audience. Be warned though. Only use relevant emojis. Equally important, use them sparingly otherwise they lose their appeal. Why write emails in the first place? So people clickthrough and see your offers, right? Getting your email opened is only half the battle. The ultimate goal is for readers to clickthrough to the key pages you want them to see. Going for the jugular in the preheader can work sometimes. Lead with your CTA as Japanese clothing brand Uniqlo did. Readers know straightaway what they’re supposed to do. No dilly-dallying. Bam, straight to the offer! Distilling your message to its essence can work wonders. After all, simplicity is the ultimate sophistication. Simple direct and descriptive text can appeal to readers better. Kansas City Steak Company build on their subject line by simply summing up their message. The preheader simply announces when the sale is ending and urges recipients to shop right away. Bare but effective. A potent relevant quote can pull readers in fast. Because of their pithiness, quotes are perfectly suited for preheaders. There are plenty quotes to fit any subject in any niche so you'll be spoiled for choice if you want try them. But make sure the quote is relevant and useful as the one below. Clearly, the quote is connected to the subject line and emphasizes it. Another easy way to crafting a powerful preheader readers can’t resist is precisely identifying the audience. By clearly addressing your audience you attract everyone who identifies with it. Ghostwriter Derek Lewis is a superb example of this strategy. If you are a freelance writer, you’re enticed to open this email so you find out what's in store for you. No doubt, preheaders are the most underrated and underutilized aspect of email marketing. The battle for attention in the inbox is fierce. To win, you’ve got to go an extra mile. Invest time in preheaders. It'll bolster up your email marketing campaigns. If you play your cards right you’ll reap handsomely — more opens, more clicks, more money. Qhubekani Nyathi aka The Click Guy is an irresistibly handsome (wife’s baseless claims!) freelance copywriter and long-form content strategist. He helps SMBs rapidly grow their income and impact through actionable long-form content that ranks high, builds authority, generates tons of leads, and drives sales. He is a contributor to top blogs like Crazy Egg, SEOChat, Techwyse, and Conversion Sciences.